Did you know that March is National Nutrition Month? Making good food choices is vital to our overall health in addition to incorporating regular physical activity. But choosing healthy food doesn’t have to be complicated, or tasteless. To commemorate the occasion and promote healthy eating, we asked Jaynee Acevedo, program manager of Catholic Charities’ SHARE Food Network to share some delicious and nutritious recipes that you can easily make at home! Each recipe was created with ingredients that are commonly included in SHARE food packages in mind. SHARE makes it easy and affordable for anyone to make healthy choices, particularly those in need. 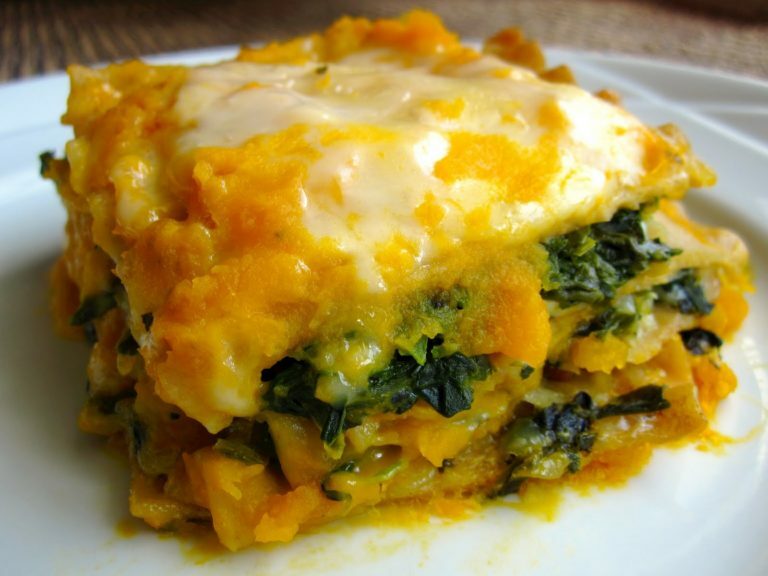 Today’s recipe… butternut squash lasagna! Cut squash in half and scoop out seeds. Place in a baking dish skin-side up and put 1/2″ of water into the bottom of the dish. Bake at 350F for 45 min- 1 hour, until soft. Scoop out the squash and place in a large bowl. Add garlic, honey, oregano, basil, salt, and pepper. Blend with an immersion blender until smooth. If it’s too thick, add in the water from the baking dish to thin it out. In another bowl, combine spinach and cottage cheese. Place 1/3 of the squash mixture into the bottom of a 9 x 12″ baking dish. Layer with 3 lasagna noodles. Spread 1/2 of the cheese mixture over the noodles. Layer with 3 more noodles. Repeat, finishing with the squash layer. Bake for 45 minutes at 350F. Stay tuned for more recipes this week. Be sure to let us know if you make this delicious recipe by taking a photo and tagging us (@CCADW) on Instagram or Facebook!